One of the bar staples in those pre-bottled water days was a soda siphon to carbonate water for all those cocktails. For years I owned a traditional soda siphon, not for cocktails, but just because seltzer is so refreshing in a hot climate. (I do live in a desert.) The thing kept breaking, and I finally stopped replacing it and just drank the occasional bottle of seltzer. But seltzer’s made a comeback in my life since I discovered the SodaStream, a new incarnation of the soda siphon. What’s great about the SodaStream system is that I can reuse the plastic bottles that come with the system indefinitely rather than buy endless cases of seltzer in plastic bottles. I haven’t tried them, but there are bottles of flavorings for those who like their soda in green, yellow, purple (aka lime, lemon, berry) and other colors. You’ve probably seen photos of flotillas of plastic bottles drifting on the sea and washing ashore to ruin beaches with trash and destroy marine habitats. Even though plastic bottles are recyclable, only 28% of the bottles were actually recycled in 2010, according to the EPA. (The plastic industry says that 48.5% are recycled.) Not using plastic bottles is the best answer to this environmental nightmare. Recycling used bottles is second best. One of the largest recycler of plastic bottles is actually a carpet manufacturer. 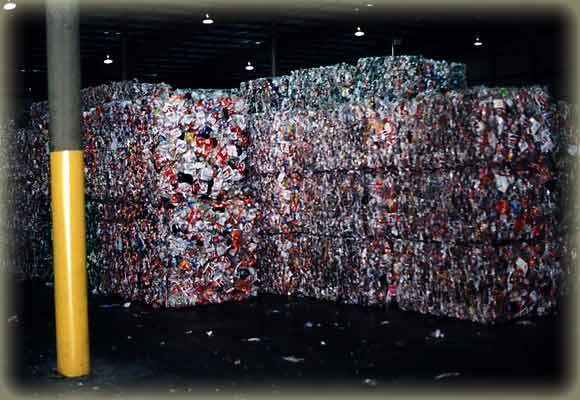 Mohawk recycles three billion plastic bottles into carpet every year. That's a big number. Just imagine millions of 20-ounce plastic soda bottles stacked end to end until the height is approximately the height of 6,926 Empire State Buildings stacked on top of each other. Actually that vision seems even more mind boggling than three billion bottles. Other carpet manufacturers, including Shaw Floors and Interface, recycle plastic bottles for their carpet. All three companies also reclaim and recycle used carpet to create new carpet. Talk about a great green carpet loop. So if you’re a seltzer fan, go the classic route and use the new incarnation of the soda siphon. Personally, I like hard flooring with decorative, loose rugs, but if you like the cushy feel of carpet under your feet, buy recycled carpeting. Of course, be sure to recycle your plastic bottles. They may end up under someone’s feet as carpet or above them as sneaker tops, but that’s another story.